Call us today and we’ll make sure your Florida Roofing Insurance company has the right coverage at the right price. Learn Why Florida Roofing Contractors Choose Blacks Insurance. You protect families and businesses from the elements on a daily basis, but who’s protecting you with roofing insurance? Whether you’re a residential roofer or a commercial roofer you can trust Black’s Insurance to make sure you’re fully protected the way people are protected under your roofs. Don’t make the mistake of reaching out to insurance provider that want to sell you every unnecessary insurance product while they prey on your fear. Allow Black’s Insurance to help you get the best deal and the best coverage possible. At Black’s insurance we’re prepared to cover all aspects of your roofing business starting with a few that we’ve listed below. Whether it’s a bid bond, payment bond, performance bond or license bond, we’ll make sure you have the necessary protection to get the job you want and finish the job you’ve started! 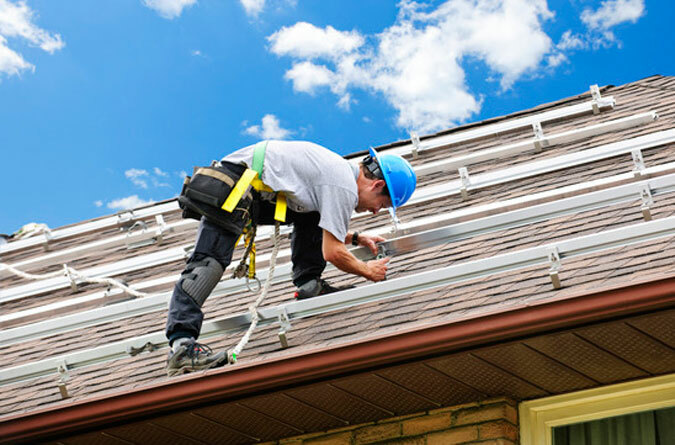 All roofing contractors with one or more employees must have workers compensation insurance. This layer of protection covers your corporation and its employees against any and all on-the-job injuries. Don’t be fooled into thinking that General Liability is all the roofing company insurance that you need. It’s merely one necessary layer of protection which covers you, your employees and all others who come in contact with your work.